Chicago Tag & Label, Inc. was founded to meet our customers’ product requirements. Each opportunity allows Chicago Tag & Label to provide innovative and creative form and label printing solutions that improve the application of your form label, label and tag construction. “Quality, Service and Value” is the commitment we make to every job we undertake. F. Paul Valenti Sr. established Chicago Tag & Label as a stringing facility in 1946. Over time, he added the ability to manufacture basic mono-tags, and as the business grew, he added even more capabilities. His son, F. Paul Valenti Jr., continues his father's legacy today as we manufacture numerous custom forms, labels and tags with a strong focus on unique, innovative print solutions. 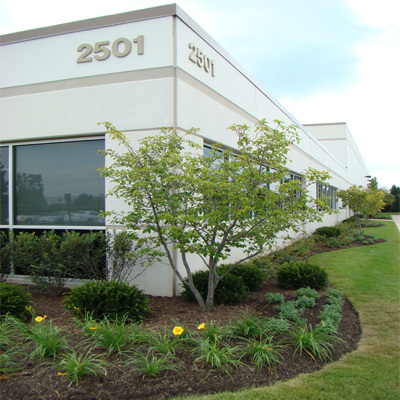 He relocated the company to its current location in Libertyville, Illinois in 1999. Chicago Tag & Label currently holds 28 patents on our innovative products and manufacturing processes. Why Chicago Tag & Label? U.S.-based manufacturer, creating all products in the U.S.